The first ARMv8 workstation PC has been unveiled in the form of the Gigabyte ThunderXStation which is now available to purchase and has been created by a partnership between Gigabyte and Cavium. ARM-based processors are normally associated with smartphones, tablets and mobile devices however the companies have now created a tower PC designed to work with Cavium’s ThunderX2 ARMv8 processors. The Gigabyte ThunderXStation workstation ships with Linux Ubuntu 17.10 but it also supports CentOS 7.4 and OpenSUSE. 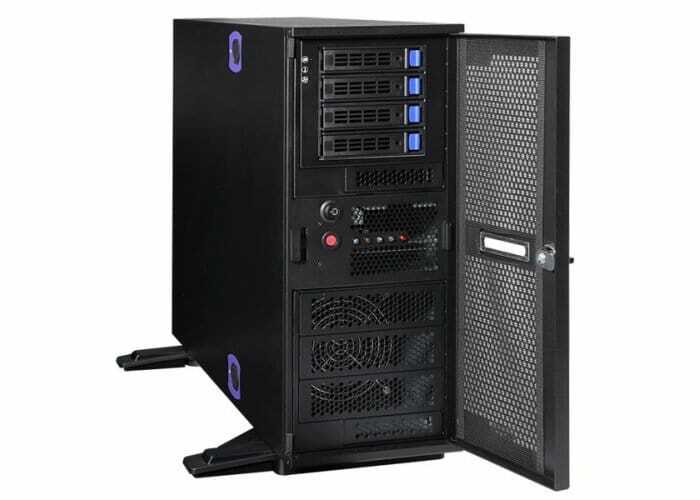 Features of the workstation include 2 PCIe Gen 3.0 slots per CPU, 2 NVMe PCIe Gen 3.0 x4 ports, 2 SATA IIZI on-board connectors and 2 U.2 or SATA III 2.5″ drive bays as well as 4 x USB 3.0 ports and 1 x RS-232 port. VGA connection and Gigabit Ethernet are also included in the first system in the range will come equipped with a 2.2 GHz, 32-core processor with 4 threads per core for a total of 128 threads supported by an NVIDIA GeForce 710 GPU with dual monitor support. Although gigabyte has also revealed that it is testing other AMD and Nvidia graphics cards for future workstation systems. Memory is provided by support for DDR4-2133/2400/2666 and the ability to install up to 8 DIMMs per CPU. For more information and full specifications jump over to the Cavium website via the link below.